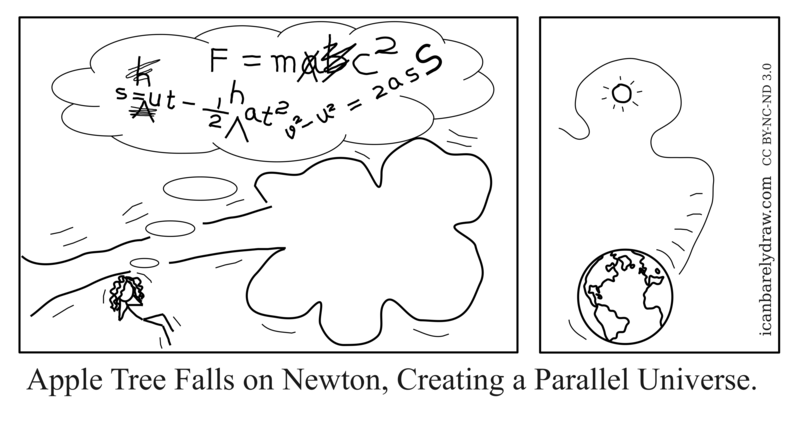 Apple Tree Falls on Newton, Creating a Parallel Universe. The Cartoonist assures us that this really happened. Our About page was recently updated, so you may wish to visit it. Title: Apple Tree Falls on Newton, Creating a Parallel Universe.